Photo courtesy of Mike Ho's management. There is no love lost between celebrities and paparazzi. Stars hate those car-chasing, camera-wielding packs for invading their privacy. The paparazzis probably hate these stars—who earn their millions from living very public careers—for making their jobs difficult for them. What’s a snap on a night out? Or while playing pool? On the other hand, why the extreme interest in what stars buy from a convenience store? Or who visits them at home? But there is a strange symbiotic relationship between the two. The paparazzis make their living from shooting stars, the more scandalous, the better; stars—who need to be constantly in the limelight to maintain their popularity—benefit from the coverage they get. The more famous they are, the more work they get from films to dramas to recordings and endorsements. “I hate them,” Taiwanese actor Mike Ho (Ho Jun Xiang) tells popdom in jest, referring to the paparazzi. Ho, like many stars, has his share of paparazzi following him, perhaps hoping for a scoop or a scandal. In order to avoid potential scandals or the media making news out of nothing, Ho says that he just heads for home instead. Ho has so far managed to avoid scandals that would threaten his popularity since he entered the business in 2003. The only news that may be considered a ‘scandal’ for him was being linked to his best friend Joe Cheng (Cheng Yuan Chang), an equally famous actor in Taiwan. But this has not deterred fans from supporting him and may have added to Ho’s appeal as a heart-throb who can attract both male and female fans. In his new drama Calling For Love, Ho plays a role close to his real life, as an ‘idol’ who behind the cameras just wants to live a simple life. His romance with an ordinary girl is also exposed by the paparazzi. Interestingly, his co-star, Hong Kong singer-actress Charlene Choi (Choi Cheuk Yin), has been embroiled in a scandal when it was revealed that she is ending her four-year marriage. He can only be sympathetic to his leading lady, noting that unlike in Hollywood where stars are very open about their personal lives, Chinese or Asian fan culture prevents stars like him from being totally honest about who they’re dating or whether they’re married. “For instance, today you’re an idol, girls will like you, but when you’re married, it will feel like they no longer have a chance,” he explains. In other words, Asian stars sell the fantasy that they are available to their fans. Ho himself says that he would prefer his personal life to remain private. Ho notes that he is always asked the ‘girlfriend question’ and that his answer has always been the same, noting firmly that “to me, a relationship is part of my personal life and I don’t wish to take it out (for display) for everyone to know”. This secretive nature that’s quite common among celebrities was something he must have learned from Andy Lau (Lau Tak Wah), his co-star in his first movie Future X-Cops shown earlier this year. Lau has managed to keep his girlfriend a secret for 24 years. Ho hastens to add that the decision to keep any relationship a secret must be ‘mutual’. “I won’t say I’ll hide (my girlfriend), but I think it should be mutual. The other party has to accept and agree to this… because many people hope that the other party can be ‘exposed’,” he says. Ho quips that if he can earn as much as Lau does in two years, then it would be worth the sacrifice. This makes him similar to Bo Ye—his character in Calling For Love—who buys a lottery ticket so he can retire from the entertainment business. Not that Ho has plans of quitting anytime soon. After expanding to China in 2008, he notes that he became more serious about his craft and sees himself doing more movies in the future. 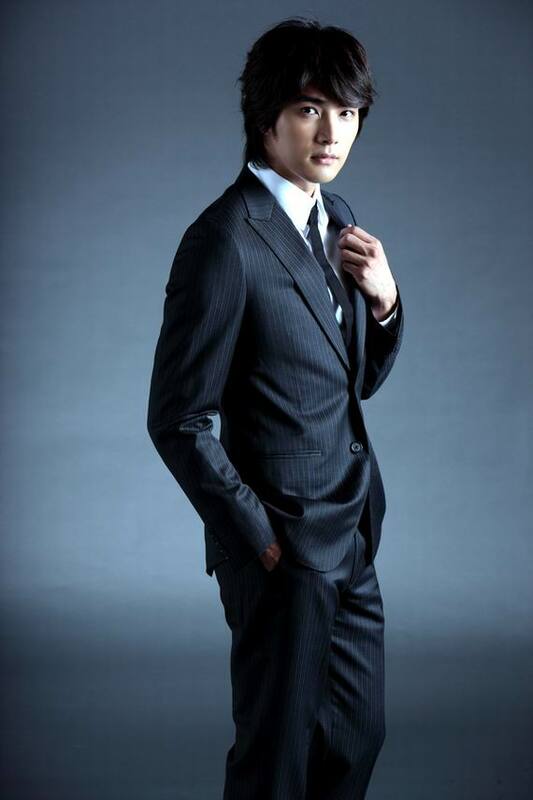 After debuting on the big screen as a support actor in Future X-Cops, he took the lead role in Love You In 7 Days. His third movie, You Deserve To Be Single, is about to be shown in Chinese cinemas. But it was in dramas that Ho first became famous, starting with Love Contract in 2004. A year later, he did Devil Beside You and it turned him into an idol overnight. Even now, people still remember him for his role as “e mo”, literally, the devil in Chinese. While he has worked with many other actresses since—counting Choi and Ariel Lin (Lin Yi Chen) as among those memorable tandems—he says it was his team-up with Rainie Yang (Yang Cheng Lin) that created the “most sparks”. He and Yang have worked in two dramas and a music video, and he does not discount the possibility of working with her again if the right project comes along. Before the concert finished, he quietly slipped out, to return to a drama set and also perhaps to avoid public attention more than necessary. After all, like other stars, Ho realises that the more famous he becomes, the more his actions will be subjected to public scrutiny and that this comes with the territory. when a drama turns bad, who’s to blame? [blog] yes, Yonghwa. I know Heartstrings.